Next Beginner Classes Start on January 09, 2019. Click here. Why is it Beijing not Peking and what brought Chinese to the world? It was lovely to hear when a student of mine happily reported that Google honored the father of Pinyin with a doodle on January 13th 2018. 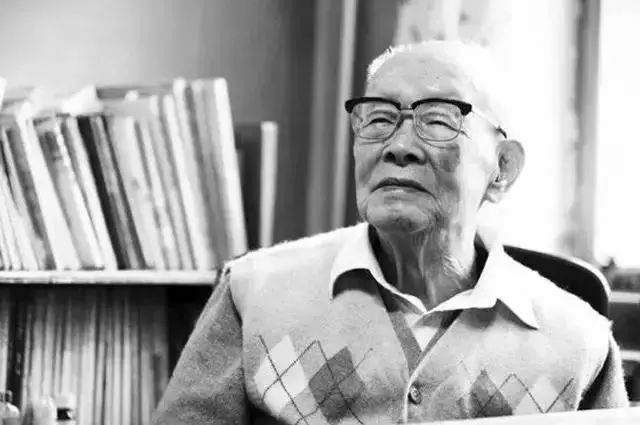 This man’s named Zhou Youguang (周有光 Zhōu Yǒu Guāng), who would have been 112 years old on that day. Why did the Chinese man Zhou Youguang join the clan of Isaac Newton, Albert Einstein to appear in Google doodle? Because he created a phonetic system which made it possible for the modern world to learn and use Chinese! He is the reason why the capital city of China is called Beijing, not Peking. Unlike English or other roman languages which uses the alphabetic system, the Chinese is made up of characters originating from pictures. The history of their formation dates back to remote antiquity. Present-day Chinese characters are square-shaped and most of them“picto-phonetic”. It means it has one component indicating the sound of the character, combined with one semantic component, which shows the category of meaning to which the character belongs. In the 1950s, Zhou, a Chinese economist and linguist, spent several years to develop a system to use 26 roman letters to spell each and every sound of the Chinese characters. This system is named Pinyin, meaning “spelled sounds”. It has 47 consonants and vowels, and four tones. The Pinyin system quickly replaced old systems to become the dominating Chinese “decipher” tool. It is widely recognized later that Pinyin tremendously helped to improve the Chinese national literacy and greatly lowered the level of difficulty for foreigners to learn Chinese! On computer or phone, a regular western keyboard is enough to type Chinese, also thanks to Pinyin! For example, 周有光 would be typed as in third photo above from the left. Perhaps by serendipity, Zhou Youguang’s first name有光 has a meaning that he now well deserves. Yǒu Guāng (有光) means “has pride”, in which yǒu means “has”, Guāng means “brightness”, (hint) pride. When 800 million people use Pinyin everyday, who doesn’t find that the son of a moderate family in a mid-size Chinese city deserves such pride? What Did President Trump’s Granddaughter Sing in Mandarin? When president Trump was visiting China last week, one pre-taped video became popular on the internet: Arabella, the granddaughter of Trump, singing in Mandarin. As of today, near half a million viewers watched this video online. Arabella Kushner is the daughter of Evanka Trump. Washington Post dubbed this 6-year-old girl a “child star” after this video was released. Click here to watch this 2 minute performance if you have not seen it. Arabella didn’t go to China with her grandfather. She pre-taped this video as a gift to the Chinese president. President Trump showed this video to president Xi in Beijing. Chinese Xinhua News Agency and CNTV later released it online. It is reported that President Xi gave A+ to Arabella’s performance. Her demonstration of Chinese classic literature learning is outstanding! Many modern Chinese people may not able to do it all. It means: man on earth, good at birth, the same nature, varies on nurture. Even though these lines were written so long ago, its wisdom still holds. I found a free English-Chinese version on wikibooks. You can definitely pick some wisdom from there. Maybe try to recite it like Arabella did? Enjoy learning Chinese! did you know Confucius takes bacon for tuition? Confucius （孔子）is China's most respected ancient philosopher. Around the same time when Greek philosopher Plato founded the first higher learning institute in the Western World, Confucius spread his philosophy across northern China. At least 3000 students attended Confucius' schools. Statesmen regularly sought Confucius for governance advice. China was going through small wars during his life time, which was Spring and Autumn period (771 - 476BC). A number of feudal states gained power from the emperor and viciously competed for territories. State leaders needed better ways to govern, therefore strategists, politicians and philosophers bloomed. Many students of Confucius served high ranking in governments. Do you know how did Confucius charge student tuition? Historically, Chinese school tuition payment has been advised instead of compulsory. Money, grain and other types of valuable goods were used and accepted. Evidence from old books indicates that Confucius used to accept dried meat as tuition. The Analects of Confucius is a collection of sayings and ideas attributed to Confucius by his followers. In The Analects, it says“自行束脩以上，吾未尝无诲焉。” It means:" I (Confucius) have never turned down a student who devoted at least ten pieces of dried meat." 束脩(shù xiū) means ten pieces of dried meat. 脩 (xiū) means dried meat, 束(shù) means ten.